The magnificent Royal Łazienki used to be Stanisław August Poniatowski summer residence. Nowadays, it is always full of walkers and tourists who want to take a break in a green, palatial place in the very centre of Warsaw. It is one of the most magical places of the capital. Łazienki is beautiful all year long: bathed in the sun in summer, covered with colourful leaves in autumn or full of fleecy snow in winter. Wonderful royal gardens and architectural, classicistic pieces of art impress every single visitor. The history of the Royal Łazienki dates back to the 18th century. The toughest period for it was the third partition of Poland. Many masterpieces were stolen back then, while during the World War II the residence was razed to the ground. Rebuilding lasted several years after the war. 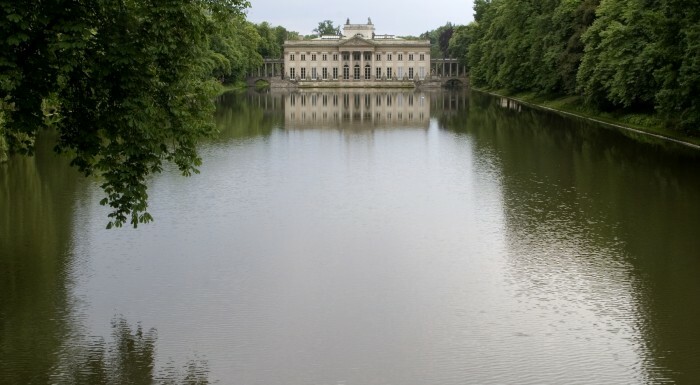 Thanks to this fact we can admire the Royal Łazienki in all its glory. The Royal Łazienki is a masterpiece by outstanding architects, mainly by Domenico Merlini, Johann Christian Kammsetzer and Johann Christian Schuch. The Palace on the Isle [Pałac na wyspie] is one of the most prominent examples of the classicistic period. It was created due to rebuilding of Lubomirski Bathhouse by order of Stanisław August himself. King’s collection of wonderful sculptures and paintings was located there. Nowadays, you can admire some of the pieces that survived. 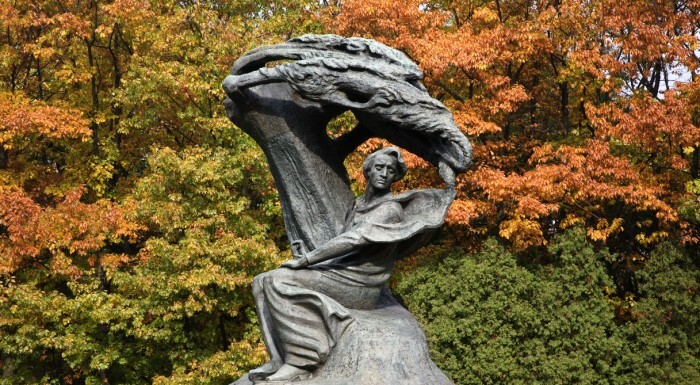 Near to the palace, in Podchorążówka, you can check an exhibition about life and works of Jan Paderewski (a Polish composer and pianist). Whereas, the Old Orangery [Stara Pomarańczarnia] with huge, arcaded windows is located in the western part of Łazienki. Exotic trees used to be kept there. Today, the Polish Sculpture Gallery [Galeria Rzeźby Polskiej] and exhibitions presenting plaster castings of ancient sculptures can be found there. 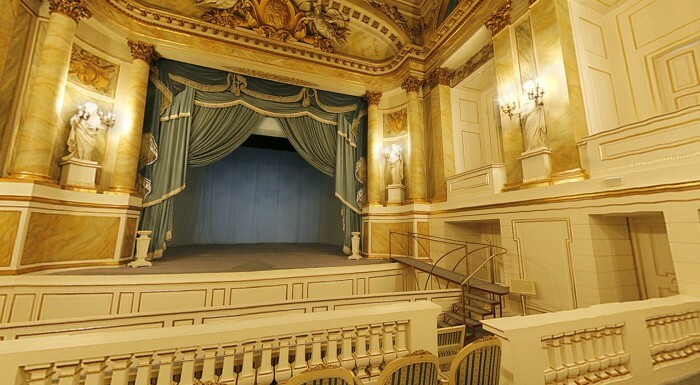 In the Old Orangery, there is also the Stanislavian Theatre [Teatr Stanisławoski] which luckily was not destroyed during the war and is one of few examples of a court theatre from the 18th century. The Myślewicki Palace (with a Chinese roof) from which beautiful sights stretch out also draws attention. For example, the sight of the amphitheatre or of a picturesque pond. While walking around, you can find lots of other buildings. Numerous pavilions, temples, sculptures or monuments by park lanes complete the atmosphere of the royal garden. Every year, important and often prestigious sports, cultural and scientific events takes place there. In the park, at the hippodrome, you can also watch horse riding shows that are organised to highlight local horse riding traditions. Fauna and flora of the Royal Łazienki are very rich. Proud peacocks, squirrels pleading for snacks and even foxes are in the foreground. Long, winding paths, hills, streams and ponds full of carps make this place even more charming. Space of the whole park amounts up to 76 ha and is officially divided into four garden: the Royal Garden from the 18th century, the Belvedere Garden from the 19th century, the first Modernist Garden from the 20th century, and the second Modernist Garden from the first half of the 20th century. You can easily walk there forever and discover new, magical spots every time. One of the most exclusive restaurants in the capital, the Belvedere restaurant, offers delicious meals. It is situated in the New Orangery in the southern part of the Royal Łazienki. Royal Łazienki opening hours are various and depend on the season. The same goes for particular buildings and exhibitions. That is why you should check them when planning a visit. Garden everyday till 09:00 p.m.